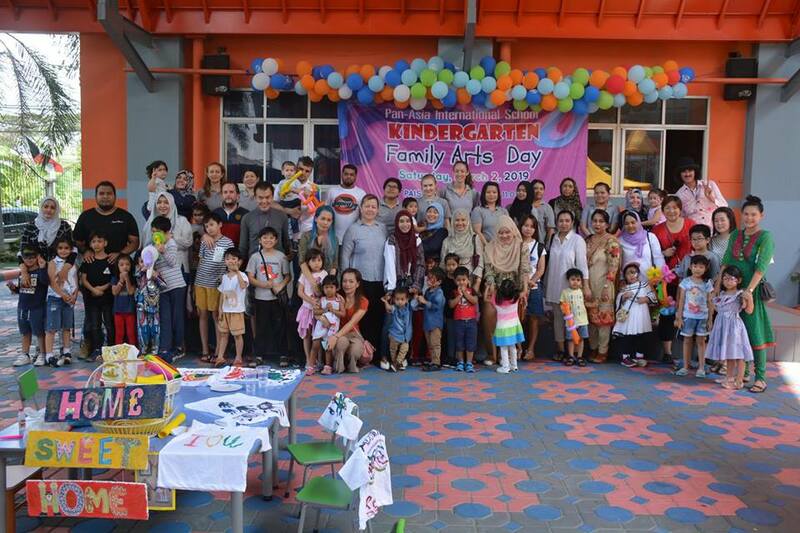 On 2nd March 2019 KG department was hosting Family Arts Day. 7 stations were carefully prepared and organized by KG teachers. Cupcake decoration station where students were designing their own cupcakes. T-shirt painting station where children and parents were painting T-shirt together. Name keychain station, where children were designing colorful keychains with their names. Slime making station where students were creating their own special gooey, sticky substance enjoying the relaxing process of creation. Clay statue painting station where kids were painting pale 3D statue and creating a masterpiece. DIY playdough station where students were making colorful playdough. Family house station where children were building their own mini houses and putting the picture of their families inside. Face painting station, where kids were able to make a colorful face paint of their beloved cartoon hero or animal. About 40 families came and enjoyed wonderful Saturday morning. Children learn in many different ways, and younger children may not be ready to express themselves thoroughly with language. That’s why art activities and art education in kindergarten and beyond are extremely important. Art is part of the human experience, and kindergarteners enjoy looking at art, producing art, and expressing themselves through art projects. Moreover, students had a chance to celebrate the meaning of being a family and to spend quality time with their loved ones by participating in fun activities together.